Although all phones seem to have to measure up to the iPhone these days, Palm’s Centro a least is a similar device. As a low cost smartphone upgrade from the more traditional ‘features’ style phone, the two do have some common qualities. 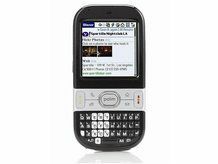 And now Palm has said it intends to ship two million Centro devices by the end of 2008. Brodie Keast, senior vice president of marketing, believes consumers are willing to make the jump to smartphones from the more traditional style. The Centro is sold by two carriers in the US for around £50, half the price of the iPhone 3G at its lowest price point. This number will rise to three carriers after Verizon announced it would begin selling the phone from 13 June.